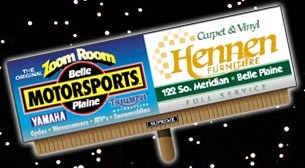 Billboards come in many different sizes and shapes and are either static or digital. Static billboards are the most common. Below is a listing of our static billboard locations and the rates for each are listed. The rate of each static billboard will vary depending on location and size. Please Check the specific locations for current rates.